Are you have a downtown wedding? then you should be taking advantage of the city for some great journalistic style wedding photography. Take a walk around the city with an experienced photographer and just capture images in the streets. I always ask my couples to walk ahead of me and stay connected whether it's holding hands or waist and when I see something happening around them or see an image, I just ask them to stop and connect. In this case it was a reflection and my couple put down the umbrella and just snuggled together. It took less than 30 seconds and we were walking again. We walked around the block for 15 min. and then walked into the cocktail hour to mingle with guests. 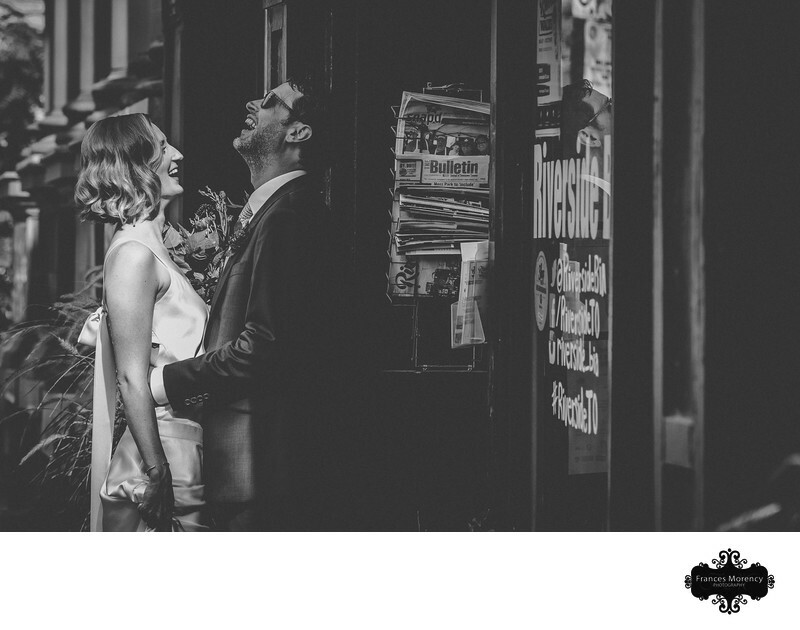 Take 20-30 minutes on the city streets and capture journalistic style wedding photos to document your day. We are on busy Queen St. in Toronto, but a professional experienced photographer can make it look like your the only people around. 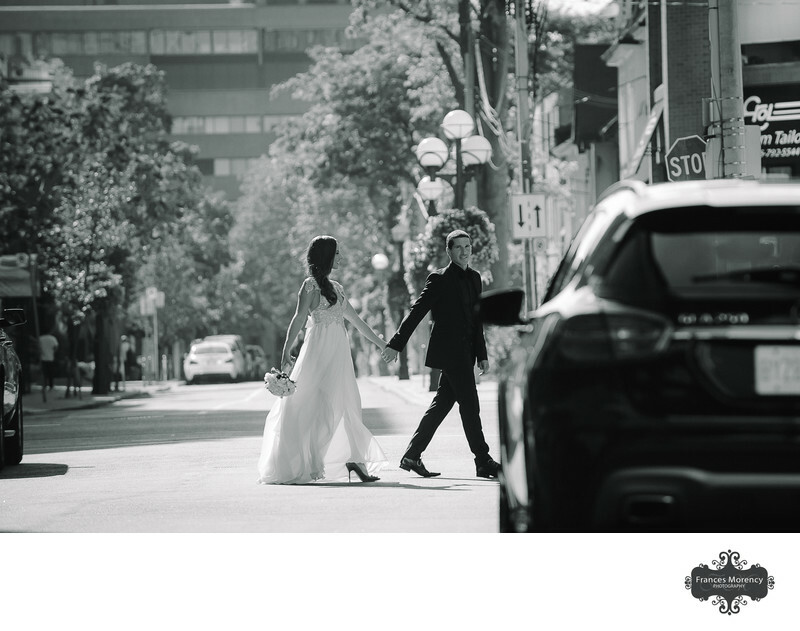 The Four Seasons Hotel in Yorkville was the location for portraits of this bride and groom and with 30 minutes before the ceremony at Canoe I was able to photograph them in the valet parking lot of the hotel and make it look like somewhere else. These pillars are at the entrance of the underground parking lot. I also photograph my couples walking from location to location....no time is wasted as we move around the neighborhood. City weddings are my favourite places to capture moments. These boys were about to get into the limo and I asked them to walk down into the underground garage in a straight line, stop, look at me, then walk back to the car looking at each other. Literally, took 1 minute to get a handful of wonderful groomsmen photos. Any city should be taken advantage of for journalistic style wedding photography. This is a furniture storefront in Liberty Village and using the right lens I can make any backdrop part of a great image. Keywords: Downtown (12), Journalistic (51), Toronto (33), urban (36). 1/160; f/4.5; ISO 125; 98.0 mm.